Āpirana Ngata (1874–1950), of Ngāti Porou, was born at Te Araroa on the East Coast. He graduated from Te Aute College, and later completed an MA and a law degree. He was the first Māori to complete a degree at a New Zealand University. He returned to the East Coast and became involved in improving Māori social and economic conditions. Unlike a number of other tribes, Ngāti Porou had kept much of their land. The young Ngata, armed with legal expertise and determined to achieve progressive farming techniques and land tenure reform, encouraged sheep farming and investment in land development. By 1916 Ngāti Porou were running more than 180,000 sheep. Ngata favoured the incorporation of owners into more workable legal bodies. It was a way to retain tribal ownership and to efficiently use land with multiple owners. It also meant fragmented Māori land titles could be combined into viable farming units. During this early period Ngata was also prominent in the Young Maori Party. This movement was crucial in changing the focus of the Kotahitanga movement from the Treaty of Waitangi and Māori political autonomy, to pursuing its aims through mainstream politics. In 1905 Ngata was elected to Parliament representing Eastern Māori. He was to retain the seat until 1943. He was a superb debater and a hard worker. He first came to national prominence in connection with the 1907 Commission on Native Lands and Native Land Tenure. This was set up because of concern at the scale of European land purchase in the early twentieth century. The Commission was presided over by Robert Stout and Ngata. Its main task was to devise ways of utilising Māori land in a way to benefit both Māori and European settlers. The Stout-Ngata Commission, as it came to be called, was sympathetic to Māori, whom it described as a people "starving in the midst of plenty". It recommended that Māori retain large tracts of their remaining lands, and that the state should give farming assistance and training. But these recommendations were not followed and little was done. Instead, land purchase increased significantly in the following two decades. Ngata also helped the jurist John Salmond draft the Native Land Act 1909, a massive statute that consolidated all previous Māori land law. During the First World War Ngata maintained a Ngāti Porou tradition of loyalty to the Crown, and recruited Māori servicemen. He later built on the respect Māori servicemen had won during the war, achieving inquiries into many long-standing land grievances. Among them was the Sim Commission, which investigated land confiscations after the wars of the 1860s and upheld many grievances, despite limited terms of reference. In 1927 Ngata received a knighthood, and in the following year became Native Minister in the United government. He was now able to press ahead with state-funded Māori land development, and set up land development schemes all over the country. His wider aim was to strengthen Māori communities and revive Māori culture. Much of his success came from working through traditional tribal structures. In his land development work Ngata also encouraged a revival in Māori art and cultural studies. He helped set up a Māori school of arts at Rotorua, the Board of Maori Ethnological Research, and the Maori Purposes Fund Board. Most Europeans had little sympathy for Māori land development, especially at a time of deepening depression and cutbacks in other government spending. Because of historical land loss much Māori land being developed was poor or marginal. Some schemes failed, adding to the resentment. Ngata, impatient with "red tape", tended to make decisions on the run, and Native Department officials were often unable to keep up with the paperwork. 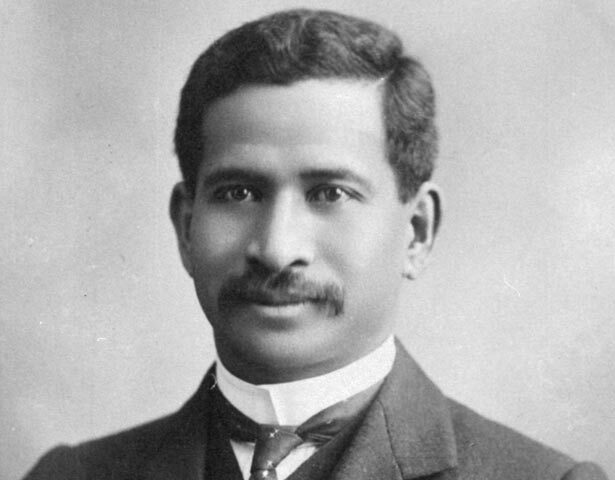 By the beginning of 1932 there was increasing criticism of Ngata. Irregularities were found in a number of accounts, and a Committee of Inquiry was set up. Its 1934 report criticised many aspects of Ngata's administration, and he immediately resigned as Minister. He was defeated by the Labour/Rātana candidate in the 1943 election. Ngata's development schemes remained a key element of Labour's Māori land policy, however, and many continued until the 1970s and 1980s. Ngata died in 1950. He made an immense contribution to the Māori cultural and economic revival in the first half of the twentieth century. I whānau mai a Āpirana Ngata (1874-1950) ki Te Araroa i Te Tai Rāwhiti. Ko Ngāti Porou tōna iwi. Ka puta ia i te kāreti o Te Aute, ka whai i tana tohu paerua (MA) me tana tohu hei rōia. Ko ia te Māori tuatahi ka tutuki i a ia tētahi tohu paetahi ki tētahi whare wānanga o Aotearoa. Ko tana hokinga tērā ki Te Tai Rāwhiti ki te hiki ake i te noho me te ōhanga o te Māori. I puritia e Ngāti Porou ōna whenua, kāore i rite ki ētahi atu iwi. Ka hoki atu a Ngata me ōna mātauranga ture ki te kāinga, me tana hiahia kia whakahoutia ngā mahi ahuwhenua, kia tirohia te āhua o te pupuri i ngā whenua. Ka akiaki ia kia whakatūria ngā pāmu hipi, kia kuhuna he moni ki ngā kaupapa whakapai ake i te whenua. Tae rawa ki te tau 1916, e 180,000 ngā hipi a Ngāti Porou. Ko te hiahia o Ngata, kia tū hei kaporeihana hei whakahaere i ngā whenua mō te hunga whai pānga, hei pupuri i te mana whenua ki te iwi, hei whakamahi pai hoki i aua whenua mā te hunga whai pānga. I raro i te hanga o te kaporeihana ka taea te kohikohi i ngā taitara whenua marara ki roto i ētahi pāmu. I tēnei wā anō, ko Ngata tētahi o ngā kaiārahi o te Rōpū Taitamariki Māori. He wāhi nui tō rātou i te huringa o te kei o te waka o te Kotahitanga atu i te Tiriti o Waitangi me te mana motuhake, ki te rapu hua mā roto i ngā kaupapa tōrangapū whānui. I te tau 1905 ka pōtitia a Ngata hei Mema Pāremata Māori mō Te Tai Rāwhiti. Ka noho ia ki tēnei tūru tae atu ki te tau 1943. Ka haere te kōrero mōna i te whare, he pū kōrero, he pukumahi. Nā ana mahi mō te Kōmihana Whenua Māori o 1907, ka hau te rongo mōna ki te motu. I puta ake te Kōmihana i ngā āwangawanga mō te inati o ngā hoko whenua a te Pākehā i te tōmuatanga o ngā 1900. Ko Ngata rāua ko Rāpata Taute (Robert Stout) ngā ūpoko o te Kōmihana. Ko tana mahi tuatahi ko te rapu huarahi hei whakamahi i ngā whenua o te Māori hei painga mō te Māori rāua ko te Pākehā. I pukuaroha te Kōmihana ki te Māori; arā tana kī mō te Māori, he iwi "kore kai i te wā o te huhuatanga". Ko te tūtohinga a te Kōmihana, kia pupuri te Māori ki te nuinga o ngā whenua kei roto tonu i ōna ringa; i tua atu, me tuku e te kāwanatanga ētahi āwhina ki te whakawhanake i ngā mahi ahuwhenua me te whakangungu i te iwi kāinga. Heoti anō, kāore ēnei tūtohinga i whāia. Hei ngā tau e rua tekau ka whai, nui atu ngā whenua ka hokona. Ka āwhina anō a Ngata i te tohunga ture a John Salmond ki te tuhituhi i te takotoranga tuatahi o te Ture Whenua Māori 1909. Kātahi tētahi hanganga ture nui rawa atu, inā rā ko ia te whakakotahitanga o ngā ture whenua Māori katoa o mua. I te Pakanga Tuatahi o te Ao, ka whai a Ngata i te tikanga a Ngāti Porou kia pūmau ki te Karauna, ko tana whakatenatena tērā i te iwi Māori kia uru hei hōia. Nā te māia o ngā toa Māori i te pakanga, whakaaetia noatia ai ngā tono a Ngata mō ētahi rangahau ki ngā nawe tautini e pā ana ki te whenua. Ko tētahi o ēnei rangahau ko te Kōmihana a Sim, i āta titiro ki ngā raupatunga whenua whai muri i ngā riri o te tekau tau atu i 1860. Whakaae ana te Kōmihana ki ētahi o ngā āwangawanga, ahakoa te whāiti o te tirohanga i whakaritea māna. I te tau 1927 ka whakanuia a Ngata ki te taitara Tā, ā, nō te tau ka whai ko ia te Minita mō ngā Take Māori i te kāwanatanga Unaitiiti (United Party). Kua āhei tana tīmata ki te whakawhanake i ngā whenua Māori me ngā pūtea a te kāwanatanga hei tautoko. Ka whakatūria e ia ētahi kaupapa whakawhanake whenua puta noa i te motu. Ko tana whāinga nui kia pakari ngā hapori Māori, kia ora anō hoki te ahurea a te Māori. Ka whai hua tana mahi tahi me ngā rangatira o tēnā iwi, o tēnā iwi. Mā roto i ngā kaupapa whakawhanake whenua ka āwhina anō a Ngata kia kaha mai anō ngā toi me ngā tikanga a te Māori. Nāna i āwhina te whakatūnga o te kura toi Māori ki Rotorua, Te Poari Whakapapa me Te Poari Pupuri Tahua mō ngā Take Māori. Kāore i paku aro atu te nuinga o ngā Pākehā ki ngā kaupapa whakapaipai i ngā whenua Māori. Ko te wā hoki tēnei o te paheketanga o te ōhanga, i te tapahia ētahi atu o ngā āwhina a te kāwanatanga. Nā te rironga o ngā whenua papai, ko ngā whenua tītōhea i mahue mai hei whakapaipai. Ka hinga ētahi o ngā mahi ahuwhenua; ka pōuri ētahi Māori. Ka hōhā a Ngata ki te pōturi o ngā tari kāwanatanga; he kakama ia ki te whakatau take. He mahi nui tā ngā āpiha a te Tari Māori ki te whakaoti i ngā tuhinga e hāngai ana. I te tīmatanga o te tau 1932, kua nui ngā whakahē ka puta mō ngā mahi a Ngata. Ka huraina ētahi mahi kāore i te tika. Whāia, ka whakatūria he Kōmihana Uiui. I te tau 1934, ka puta tana pūrongo e arohae ana i ngā whakahaere a Ngata, ko te rihainatanga tērā o Ngata. Ka hinga ia ki te tangata o Reipa/Rātana i te pōti o te tau 1943. Hāunga, ka pūmau tonu a Reipa ki ngā kaupapa ahuwhenua a Ngata, ā, i te haere tonu ētahi tatū rawa ki ngā tekau tau o 1970 me 1980. Nō te tau 1950 ka mate a Ngata. Nā wai ngā mahi nui atu i ā Ngata ki te whakaora i te iwi Māori - āna tikanga, tāna noho hoki. We have 2 events in history, 40 biographies, 2 articles, related to Āpirana Ngata.